Homecoming. We were sitting in the stands at McLane Stadium, waiting for the sun to pass us by and leave us in the sweet, sweet shade so we could enjoy a Baylor football game without sweating. When all of a sudden, everyone in our section noticed an ad on the Jumbotron for iced tea. 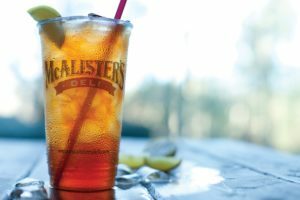 And not just any iced tea—iced tea from McAlister’s Deli. We all looked at each other, like we’d seen a sign from God and needed confirmation. The questions came fast: Did that really say they’re selling iced tea? Here? Today? John confirmed it, naming the sections where McAlister’s tea was now—glory hallelujah—available. Amen. I had already purchased a bottle of Aquafina water. It’s the first thing I do once I get through security, buy water from the first seller I see. Four bucks is silly, but not egregious when I can refill it at water fountains. At the previous home game against Oklahoma State, with the 1 1/2 hour lightning delay, I refilled the bottle many times. But iced tea! Sweet and unsweet. Sweet John could be happy, and unsweet Megan could be happy too. No one in our section got up immediately to buy the nectar, but as the game went on, each of us returned from our trips to the concession stand not with a black Baylor cup of Dr Pepper but with a crystal clear 32-ounce cup with a lid imprinted with the McAlister’s Deli logo and pierced with a thick green straw. We sipped slowly, amazed at our good fortune. How were we, of all people, so blessed? Yes, $6 was a lot for tea, even if it was “handcrafted,” but I doubt any other $6 purchase has given me such pleasure. 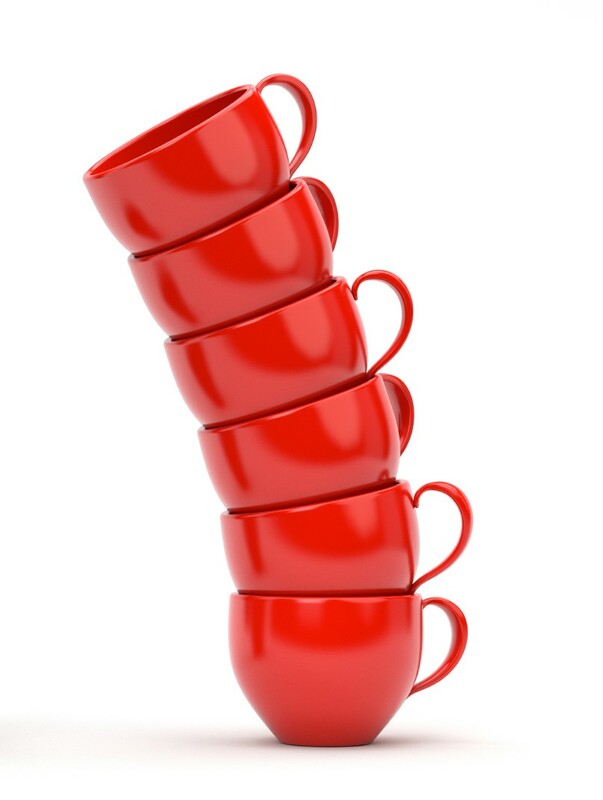 By the end of the game, since so many of us had tea, it became important to keep our cups close. We love our neighbors, but we do not wish to accidentally share each other’s libations. I’ve made that mistake before, grabbing John’s sweet tea in the car instead of my unsweet, and the most horrific gagging noises ensued—noises I could not make on television in case small children were watching. I knew I would keep this cup for a while. It would become my new car cup, refilled daily with tea before running errands. It wouldn’t last forever. Nothing good ever does. But it wouldn’t need to. Only until the next home game. when the storm was still off to the south headed straight for us. 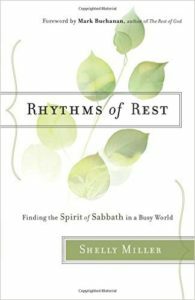 It’s finally here–Shelly Miller’s book on Sabbath, Rhythms of Rest. I am different from most people in her Sabbath Society because I was already well-acquainted with the practice of Sabbath. It was part of my life for 10 years. It was the subject of my first blog, “Sabbath Says.” I even did Sabbath the way Shelly does. It was not legalistic. It was about relationship. Relinquishing. Rest. Again, my reasons were different. I did not get too busy. I did not let it slip away. Instead I—we, our family—entered what was essentially a three-year ICU. If you’ve ever been in an intensive care unit or had a loved one who spent time in one, you know it is not restful. People are always coming in and out of the room. It’s never quiet—the machines continually beep and hum and drone. It’s never peaceful. It’s 24/7. It has to be. If a crisis happens at 3:14 a.m., you need to deal with it, no matter what day it is on the calendar. Our friends Kevin and Sandy spent approximately six months at M.D. Anderson Cancer Center. Much of that time was in ICU. Kevin’s life was at stake, and when it’s life or death, there is literally no rest for the weary. He did get to leave ICU but only through the exit ramp of hospice. Less than two weeks later he entered eternal rest. When our ICU period ended, I wanted to get back to Sabbath, but I was scared. What if we suddenly needed to go back in? Was it safe to take off 24 entire hours? Maybe I should just stay ready for anything and everything. 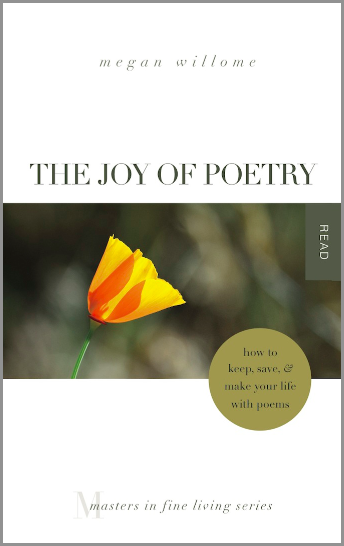 At the time I was asking those questions, I was also getting ready to rewrite my manuscript for The Joy of Poetry. I was determined to write with pauses, to take one day off each week during the season of Easter so I could meet my self-imposed deadline of Ascension Day. I chose to rest on Saturday, and I told myself I only needed to do it for those five weeks. That was spring 2015. I’ve been back ever since, however imperfectly. During our ICU years and even after they ended, Shelly’s blog was just about the only Christian writing I could handle. I don’t understand why. It’s been hard because a lot of great friends have written a lot of great books. Maybe I’ll get to them when I’m more rested. Because those ICU years have taken a toll. I stumble into Saturday with an existential exhaustion, and I know there may be more ICU stints in our future. But today Shelly’s book is here. Today I will brew some vanilla caramel chai tea and sit on my front porch swing and read. I will read it slowly, perhaps over several days instead of my normal posture, which is to inhale a good book. No, this one is different. When I finish, I’ll be back here to tell you about it.